Finally, here is the first rough compilation of the 497th RTGs long legacy of excellence. More to come, as we solicit more information, especially from the detachments, 496th and 495th units , as well as inputs from the Army and Marine Corps and Computer and Communications elements that served shoulder to shoulder with us. By 1950, following the end of the Berlin Airlift and the outbreak of the Korean War, USAFE mission emphasis shifted from the duties of an occupying force to wartime readiness. The command strengthened its force along the with other western nations in response to the increased Soviet threat. 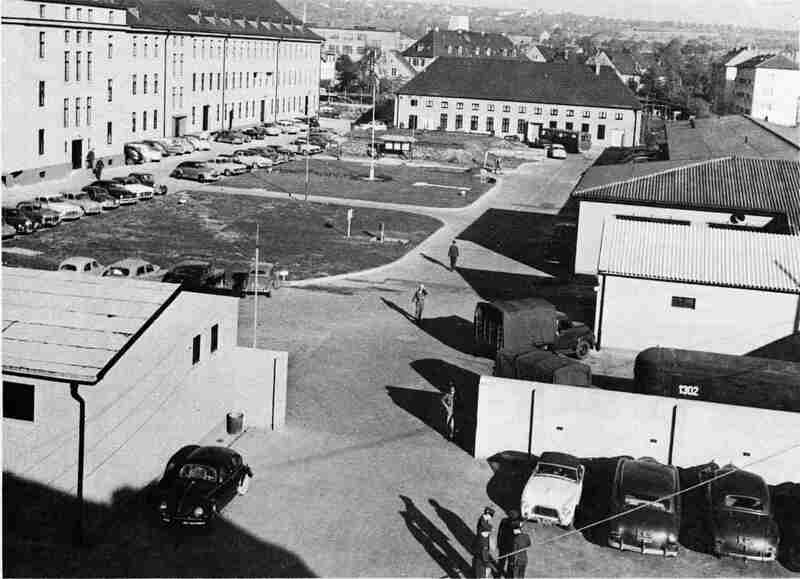 In this period of accelerated expansion, USAFE became a specified command, the 12th Air Force was activated at Wiesbaden Air Base, and the 497th Reconnaissance Technical Squadron was activated on 3 May 1951. The mission of the 497th was to provide photo processing and production, detailed photo interpretation and compilation and reproduction of aeronautical charts and related products. It soon became apparent that manning, training and equipping the squadron could be better accomplished in the United States. As a result, to cut costs and facilitate training, action was taken on 14 July 1951 by Headquarters 12th Air Force to release the few personnel then assigned to the unit, and on 26 July 1951, the 497th RTS (Reconnaissance Technical Squadron) was Transferred from Wiesbaden to Shaw AFB, South Carolina. While the unit was being formed at AFB, command of the Squadron changed hands several times as officers reporting for duty outranked the commanding officer and assumed command in turn. By the end of September 1951, squadron strength as seven officers and 122 airmen. The unit was initially attached to the Tactical Air Division, 9th Air Force. It was soon Transferred to the 363rd RTS for Quarters, administrative and logistic support and on 24 September 1951 was attached to the 20th Fighter-Bomber Wing. On 28 November 1951, the squadron was alerted for overseas deployment to Wiesbaden. 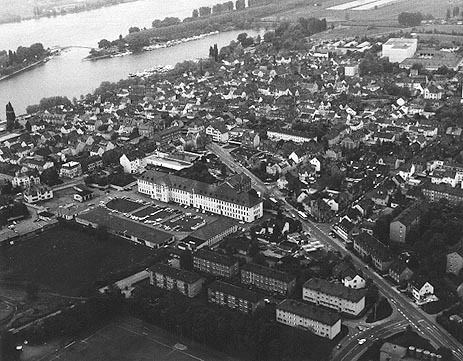 Major Charles F. Heil, Commander of the squadron, dispatched an advanced party to procure billeting and supplies and to expedite renovation plans for the Schierstein Kaserne, the future home of the 497th RTS. The advanced party arrived in Wiesbaden on 24 January, 1952. The remainder of the squadron (19 officers, 174 enlisted) departed Shaw AFB 11 February 1952 and made the trip to Germany aboard the USS General Sturgis. The Unit arrived at Bremerhaven on 3 March 2952, and was greeted by Col R. E. Herndon, Assistant Chief, Air Intelligence Division, USAFE, who accompanied it on the overnight troop train to Wiesbaden. Brigadier General M. Lewis, Assistant Chief of Staff, Intelligence, was on hand to greet the squadron when it arrived in Wiesbaden. 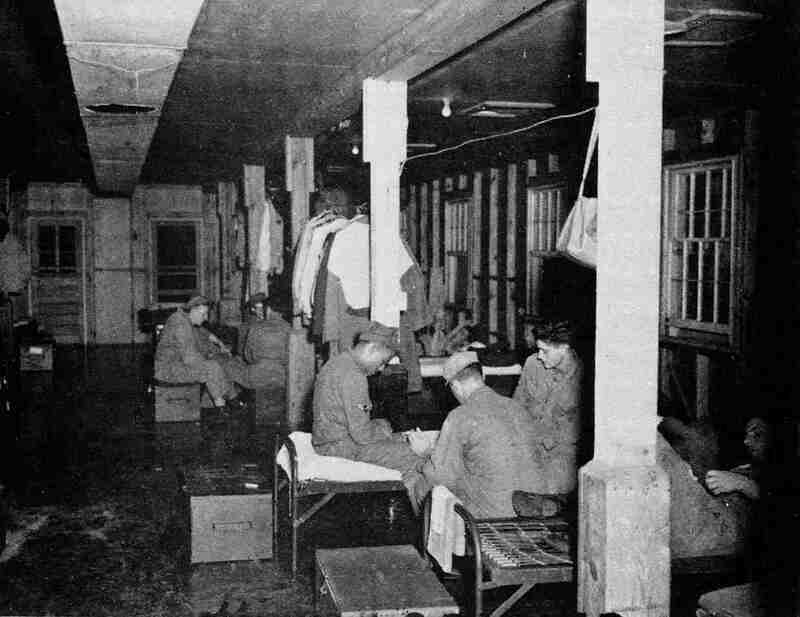 Quarters had been prepared at Camp Lindsey for the Airmen. The Officers were billeted at the Kur Hotel, while the Commander was assigned quarters at the newly constructed American Arms Hotel. The unit was officially assigned to USAFE on 7 March 1952. It was attached to the 12th Air Force, then located in Wiesbaden, for logistical support. On 7 April, 1952, while "I Love Lucy" and CBS's first color television broadcasts of the coronation of Queen Elizabeth II mesmerized America, work began to renovate the ground floor and basement of the main building at the Schierstein compound. The renovation was 50% complete on 30 April when operational sections of the 497th moved in to the compound for the first time. The 497th increased in size and responsibility to USAFE Intelligence during the succeeding years and demonstrated early the desire to become involved in community programs. In sports, the unit excelled and quickly became a power to be reckoned with in community sporting competition. Expansion within the compound was similarly rapid. On July 1954, ground was broken for the construction of the reproduction building (S-11) and the wall running from the vehicle sheds (S-6) to the mail room was broken through to gain access to what used to be the Headquarters Building (S-12). Building S-2 (later to house the communications and data processing center) was first permanently occupied in August 1954. By mid-January 1955, Building S-11 was ready for occupancy, Building S-5 (later to be the unit mail room) was remodeled to house transformers and converters. 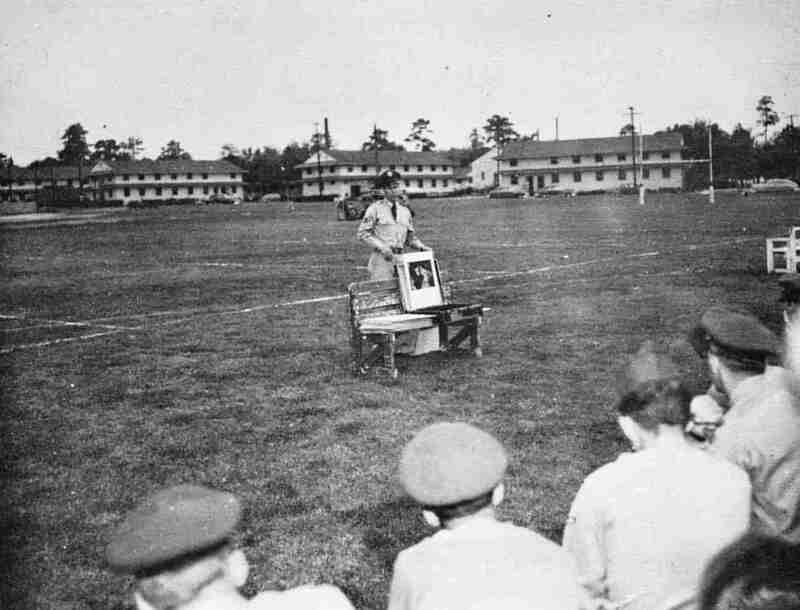 By late 1955, the photo lab in S-1 was producing over 80,000 prints per year, the first refresher photo interpretation (PI) course was being taught, and the 497th fielded a winning football team. On 30 September, the 497th Dining Hall in building S-1 closed. Utilizing the same facilities, AFEX opened a cafeteria the following day, which serviced the unit into the early 1980's. Concurrently, the S-5 snack bar was closed and the building remodeled to house the unit mail room. 1956 was a year full of change, America had a new look and a new love: Elvis Presley. The Air Force adopted the blue business suit, listened to Elvis and Belafonte, but rejected longer hair to maintain the traditional image and the standard crew haircut. The Defense Department also witnessed major changes under the New Look Policy which emphasized strategic air power and tactical nuclear weapons. This in turn, led to a reduction of conventional forces in Europe. By late 1959 the 497th RTS had suffered a 12 percent decrease in manpower. Higher headquarters suggested the unit stream line operations and reduce costs by moving the mission to the United Kingdom. Major Eugene Tighe was appointed project officer for the 497th's part in Project Red Richard. This project caused several major organizational realignments and numerous unit closures. The motto of the 497th became, "We will make no move before its time" (adequate in retrospect). Only 30 years later did the 497th re-acquire the 496th RTS from the 10th Fighter Wing at RAF Alconbury, and initiate a change that resulted in the 497th relocation to RAF Mildenhall some 35 years after planting its flag at Schierstein. As 1959 came to a close, change continued. The cost of an air mail stamp for a letter sent from Schierstein to the U.S. was raised to 7 cents. In the reproduction building, the prints shop advanced from zinc lithographs to aluminum plates, and in S-1 the Operations Division was again reorganized, to accommodate a target research section. In December 1959, the 497th assumed responsibility for document control and distribution for the Deputy Chief of Staff, Intelligence. The 496th RTS, a subordinate unit to the 497th, was activated in Vogelweh, on 15 July 1959. This unit however, would last only two years, closing down in 1961. Operational control over the 497th RTS was moved in 1960 to HQ, USAFE/IN, and a new unit shield adopted. It is important at the outset to acknowledge the long line of folks who, through the years managed to capture and retain the photos and historical record of the 497th RTG. This compilation integrates photographs and text from several anniversary books produced in celebration of the 497th RTG's contributions to the imagery intelligence community. Specifically it includes information extracted from the "25 Years On The Rhein", "30 Years On The Rhein" and the last anniversary booklet, "40 Years On The Rhein"